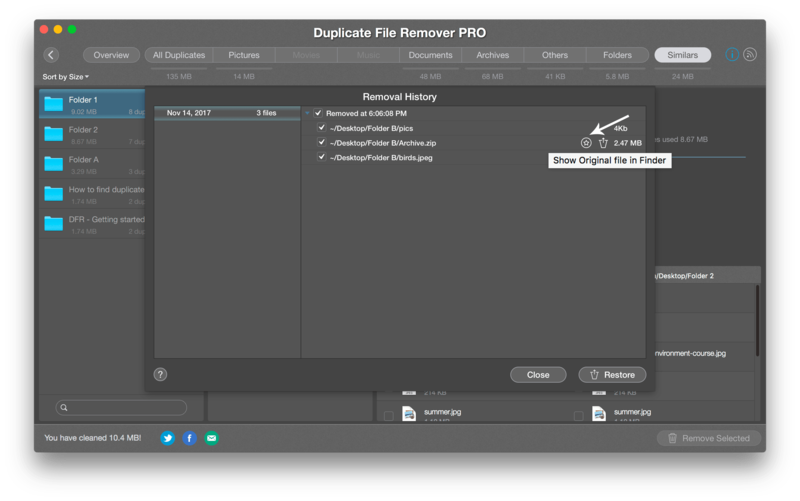 The Duplicate File Remover Pro allows you to restore removed duplicates. 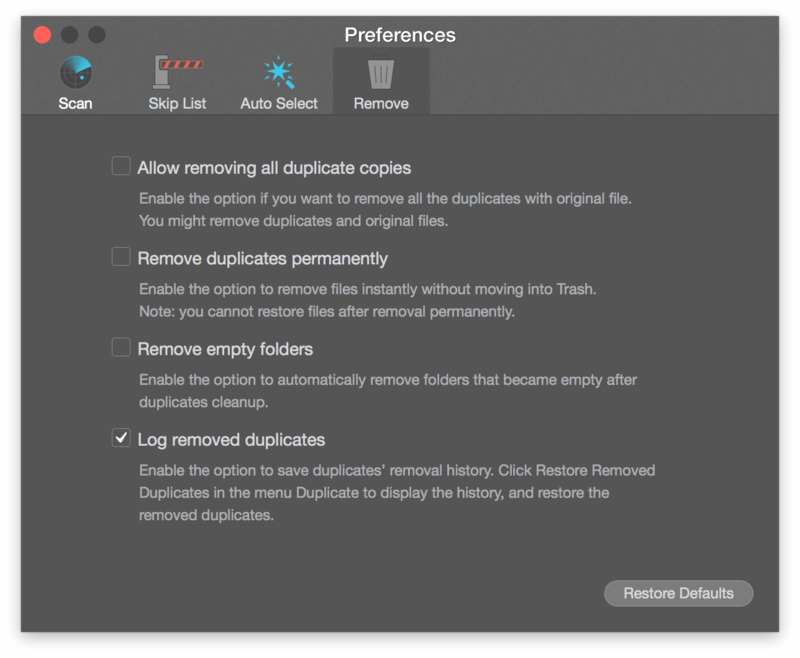 For this, enable the Log Removed Duplicates option in the Preferences → Remove tab. 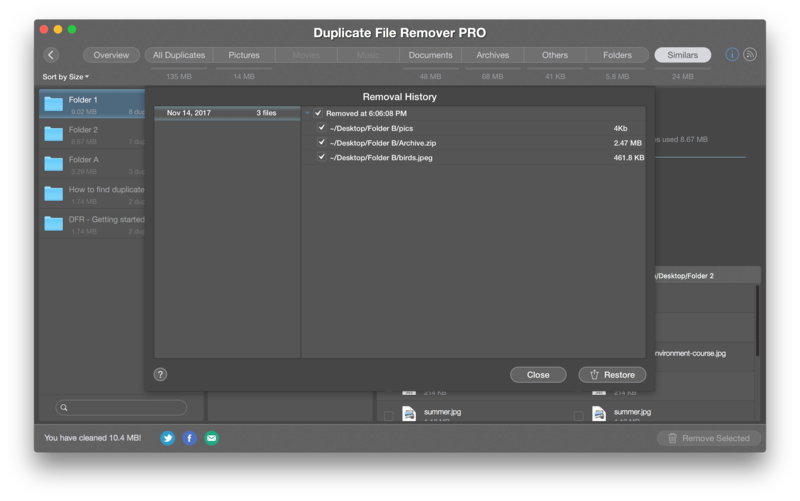 This option will let you save your duplicates’ removal history. In the Menu Bar click Duplicate and select Restore Removed Duplicates. Mark the checkboxes of the files or folders you want to restore and click the Restore button. Note, the Restore option is available only if your duplicates are stored in the Trash. If you have already emptied the Trash, you cannot restore these files. You can view next to each removed file whether it is Restored, Restorable or Not Restorable. 3. If you want to view where the original file for each deleted duplicate is located, click the Star icon. The original file will be shown in Finder.